VIPAccessEXCLUSIVE: Ricardo Hurtado Interview With Alexisjoyvipaccess At The 2018 Nickelodeon Kids’ Choice Awards! Are you ready to rock out?! Nickelodeon’s brilliant show, School of Rock has all of the excitement – from outstanding music we all love, to a spectacular cast and of course, all of the #Fremmer moments that makes our heart beat all the more faster. Starring in the excellent show is none other than the phenomenal Ricardo Hurtado. The remarkable Ricardo Hurtado is one of the most talented individuals on this planet. We always enjoy seeing him jam out in the show to some of the greatest tunes and he showcases his acting talent in such an awe-inspiring and stellar way. It always brings us so much happiness to see the wonderful Ricardo Hurtado on our TV screens and we can’t wait to see what else is in store with Fremmer in future episodes. In addition to being a terrific actor, the sensational Ricardo Hurtado is also a magnificent singer. He has released his own music, including his song “Sun Sets,” that we all love listening to on constant repeat. In fact, he manages to make all of his fans swoon even more by releasing his song in both English and Spanish. Ricardo Hurtado’s talent amazes everyone and he is the perfect example of a multi-threat. We know that Ricardo Hurtado has even more incredible things up his sleeve to share with all of his fans and we can’t wait to continue to be a part of every moment of his extraordinary career. I, Alexisjoyvipaccess had the greatest honor of covering the renowned and prestigious 2018 Nickelodeon Kids’ Choice Awards and had a fantastic time catching up with and interviewing Ricardo Hurtado again at the event. Ricardo Hurtado dished exclusively to Alexisjoyvipaccess all about who he wanted to slime at the Nickelodeon KCAs, what his number one fashion advice is and so much more only in our VIPAccessEXCLUSIVE updated interview. Ricardo Hurtado even revealed what he would like to see happen to his character in future episodes of School of Rock – hear what he had to say in our VIPAccessEXCLUSIVE updated interview below. Thanks for another awesome interview, Ricardo! 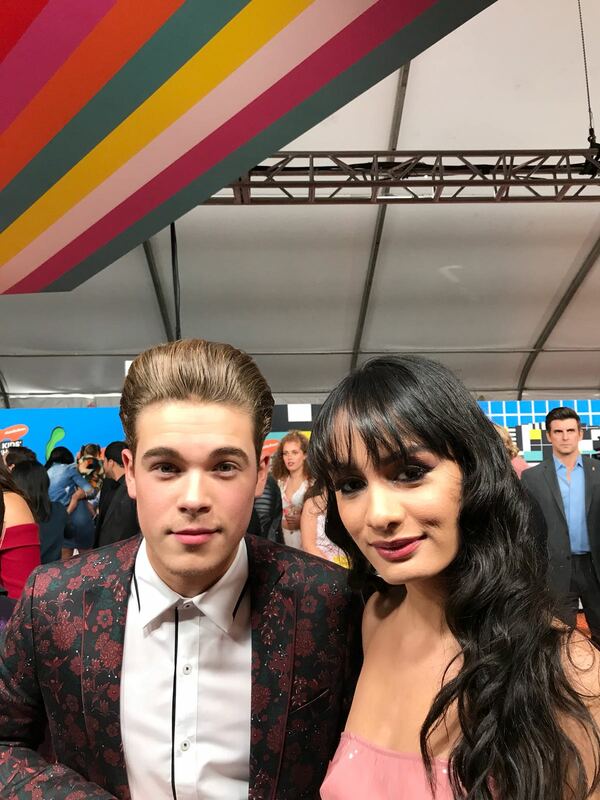 Check out my VIPAccessEXCLUSIVE updated interview with the exceptional Ricardo Hurtado at the 2018 Nickelodeon Kids’ Choice Awards below! Previous VIPAccessEXCLUSIVE: Madisyn Shipman Interview With Alexisjoyvipaccess At The 2018 Nickelodeon Kids’ Choice Awards!